Easily split MP3 files based on silence, file size, pieces count, time or custom selections. 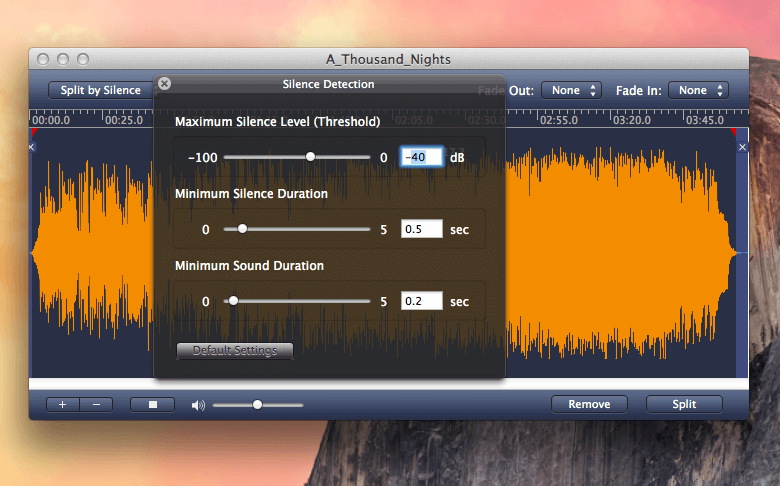 cut out pieces of MP3 files, remove unwanted sounds in manual mode. Aiseesoft iPhone 4 Ringtone Maker for Mac is the best Ringtone Maker for iPhone 4 on Mac to make ringtone for your iPhone, iPhone 3G, iPhone 3GS, iPhone 4 from your own video and audio sources.